Finding boss birthday wishes that really do the job — in other words, make your boss feel special on his or her special day— is easy to do here. 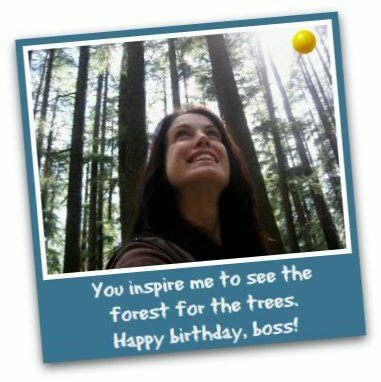 With the birthday messages for bosses on this page, you'll always make a great impression on your boss. There's no shortage of boss birthday messages below. And there's no lack of boss birthday greeting styles to choose from. See for yourself. Wishing you only good fortune and immense joy for the rest of your days...and may those be many. Happy birthday, boss! You're the type of boss every employee needs, because you make work such an enjoyable and fulfilling experience. Happy birthday! I consider myself lucky to have a genuinely humble and generous boss like you. Happy birthday! I look forward to work for one reason: you. You're boss (as in "cool") in every way! Happy birthday! When it's the bottom of the ninth inning with two men out and three men on base, you never lose your cool. 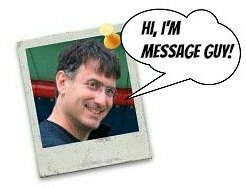 Happy birthday to the coolest boss ever. Teamwork is not when we just do our jobs — it’s when you inspire us to pull together as a team to get the job done right. Happy birthday to the best boss! Let's celebrate your birthday with the hope that the coming year brings you greater prosperity, courage, joy, health and wisdom. Happy birthday, boss! As a boss, you have guided us every step of the way. In return, we wish you health and happiness on your birthday. Have a wonderful birthday! Friend, mentor, guide, colleague, manager, boss, motivator and captain. These are some of the roles you play every day. But today, you have only one role: you are the birthday boy. Happy birthday! Today is Boss Day. Let's celebrate your birthday, boss, like there’s no work tomorrow. Happy birthday! I’m so proud to call you my boss like — you have always been a source of inspiration and guidance for me and everyone here. Happy birthday! We are so grateful for your insight, wisdom, professionalism, mentoring and inspiration. We wish you much success as both a boss and an individual. Happy, Happy birthday, boss! Boss, it’s your birthday today, so we’re on our best behavior. Enjoy it while you can because tomorrow we're going back to being royal pains. Just kidding (about the best behavior)! For your wise words, open door and listening ear over the years, we only have six words for you: Happy birthday to the best boss! You could have worked at any company. That's how great you are as a boss. That's how lucky I am to have you as mine. Happy birthday, boss! It's great to work with a boss who knows the true meaning of success...Helping people succeed. Happy birthday to the world’s most successful boss! Wishing you a lifetime of the wisdom, courage, hope and strength you inspire in us here. Happy birthday, boss! May your life outside the office be filled with the happiness, kindness and support you give away so freely inside our walls. Happy birthday, boss!